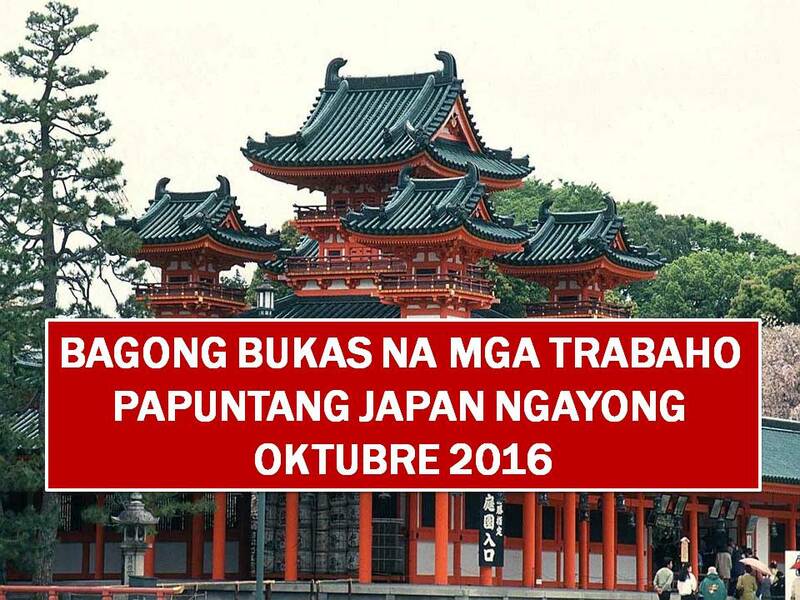 This month of October, hundreds or even thousands of jobs for Filipino workers are now open in Japan. Different Japanese companies are looking for welders, English instructor, carpenters, farmers, entertainers, poultry and dairy workers and other job opportunities for skilled and unskilled workers. Job listing below and their corresponding agencies are approved by POEA.